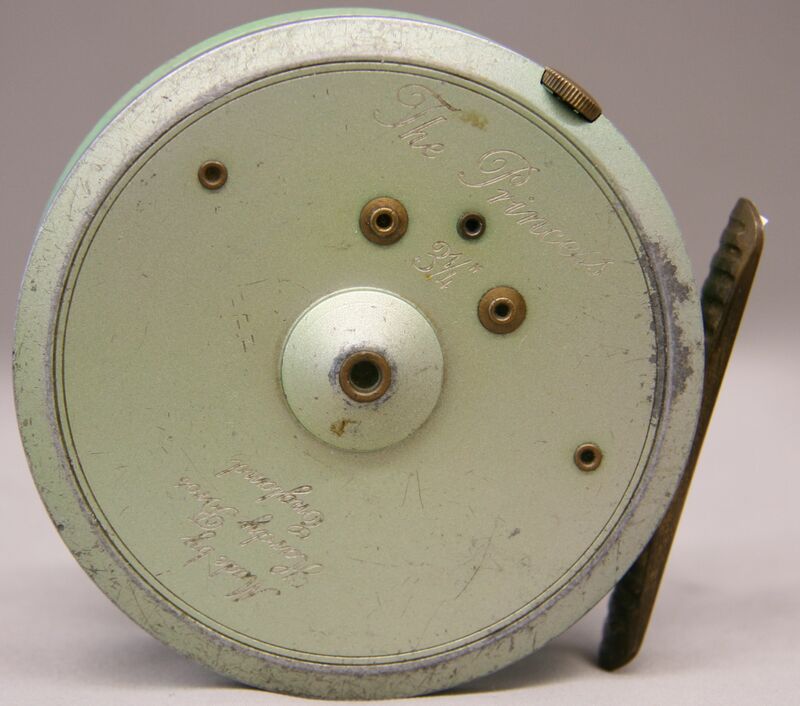 Princess fly reel. Green finish. 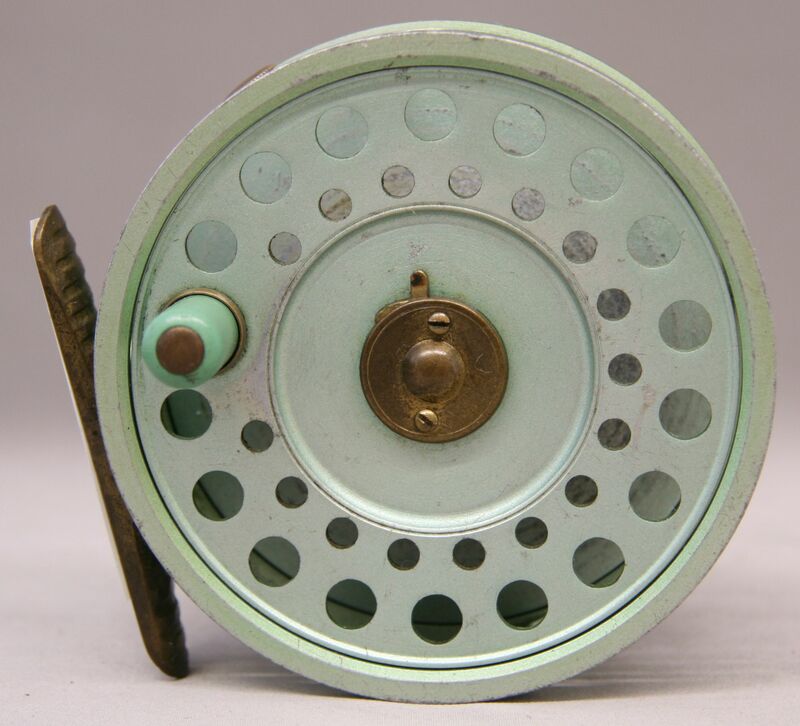 This reel was crafted between 1953 and 1957. Diameter 3 1/4 inches. Ribbed brass foot. 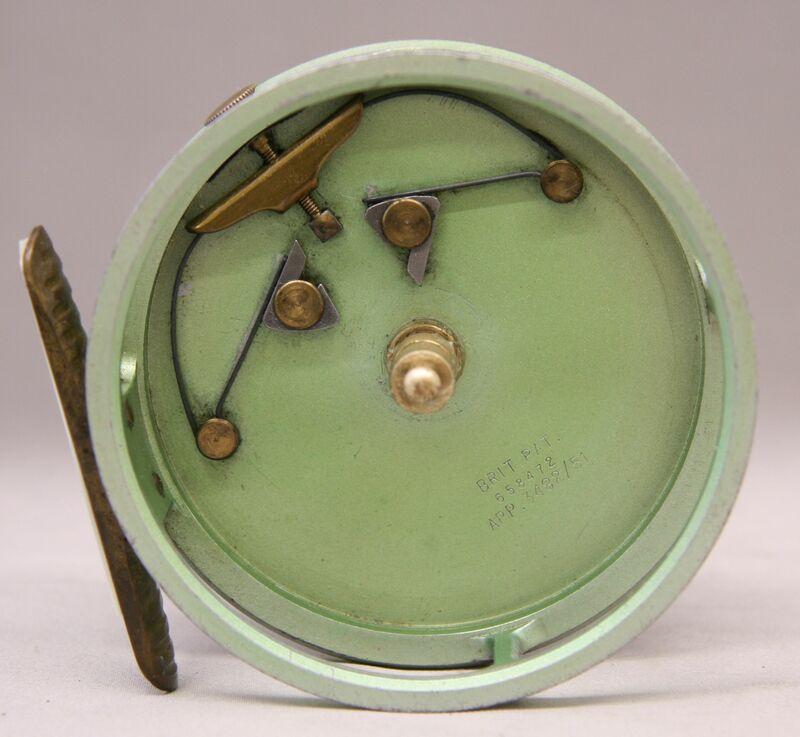 Green winding knob. Two screw spool latch. LHW/RHW. 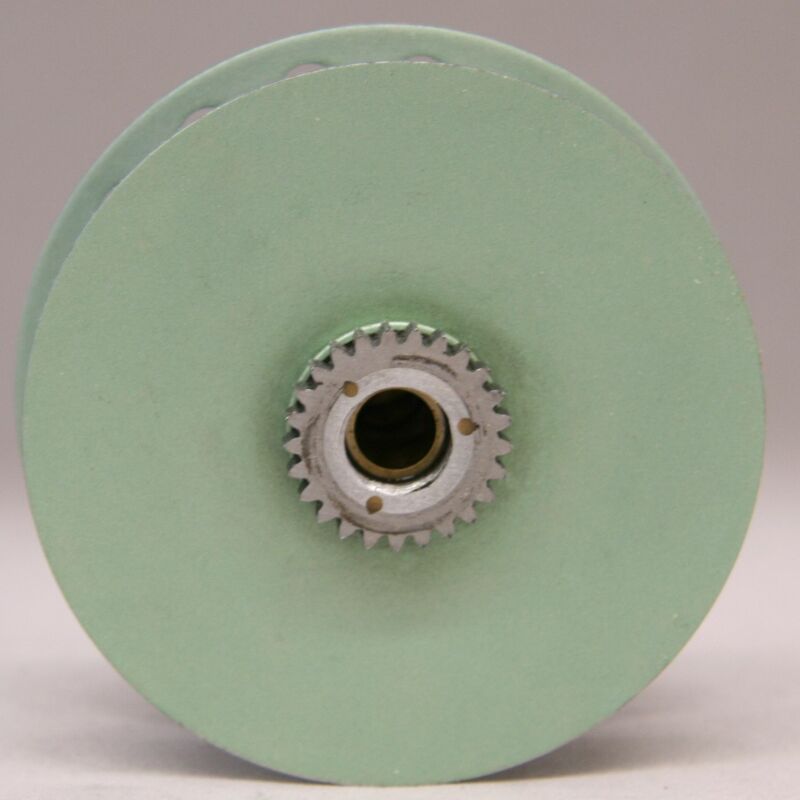 Very good mechanically, finish wear.